Combine sugar, buttermilk, butter, corn syrup, baking soda, salt and vanilla bean (both seeds and split pod) in a large pot (mixture will increase drastically in volume while cooking from the reaction between buttermilk and baking soda. Use a LARGE pot: soup pot size). Bring to a boil over medium heat. Reduce heat to maintain a low simmer and cook, stirring, for about 10 minutes, or until syrup is a light golden brown. Remove from heat. Remove and discard vanilla bean pod. Serve warm. Store in refrigerator. Syrup will thicken to a soft caramel consistency in the refrigerator. Reheat before serving. 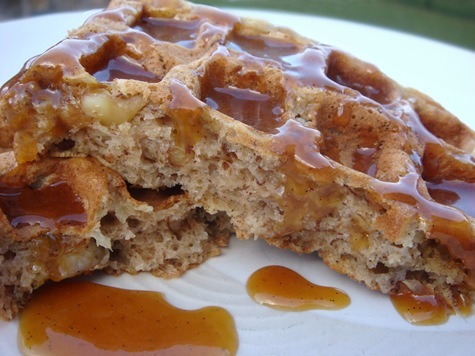 Serve over Waffles, Pancakes, Ice Cream, or anywhere you would use a caramel sauce. ** You can substitute 1 tsp vanilla extract for the vanilla bean, if desired. Stir vanilla extract into syrup AFTER cooking and removing from heat.